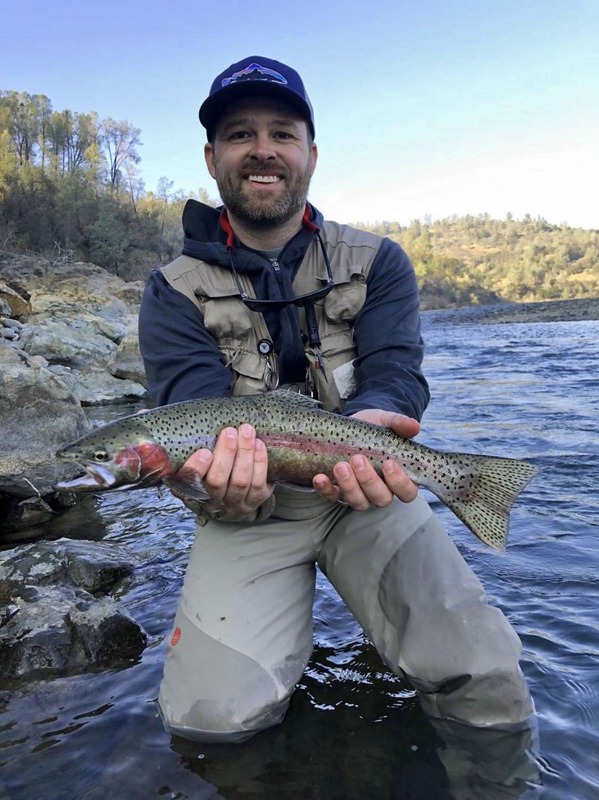 Yuba River rainbows are extremely strong and powerful for their size. The past week has seen some gnarly weather here in Northern California. Big wind, heavy rain, and as of this morning, low elevation snows like here in Nevada City. Before our last round of storms the Lower Yuba River was fishing well with consistent mayfly hatches from noon until 3pm, and the start of seeing Skwala stoneflies drifting downstream in the foam lines. Nymphing with small dark flashy nymphs, and swinging soft hackles and salmon fingerling patterns was productive as well. Currently, we are waiting for the flows to come back down and the river to clear, which the Yuba does quickly when Englebright dam is not spilling over the top, and Deer Creek is not pumping in sediment. At this time, Englebright dam is at 93% of capacity and not spilling. Deer Creek keeps on rising, though from all of the low elevation snow melting into micro watersheds, that eventually adds up to larger flows. I’m thinking by this coming weekend the river should be fishable, and even if it is a little stained it will be better fishing as the trout and steelhead aren’t so shy. I’ll know more when I scout the river later in the week.